The first experimental evidence of a Majorana fermion in Delft 2012 led to a wave of scientific enthusiasm: control such particles are a holy grail in quantum science and technology. Quantum chips based on Majorana fermions promise error-protected quantum computations. 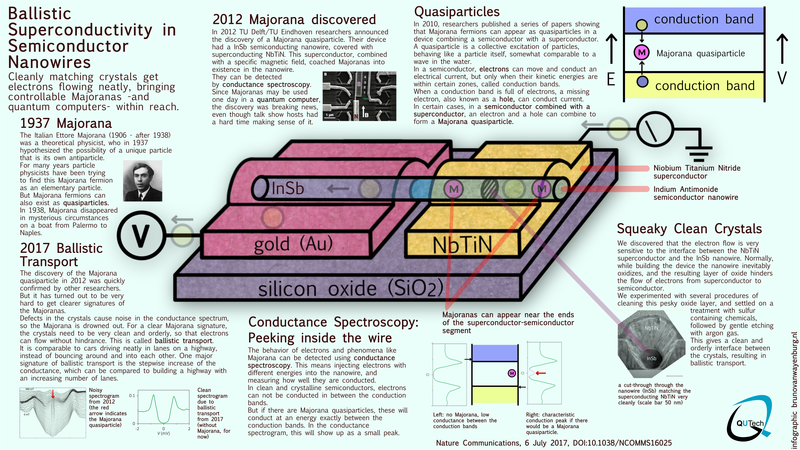 However, the fabrication of Majorana-devices is an extremely challenging task. Download the infographic below made by Bruno van Wayenburg for all interesting details of this novel quantum chip and its future applications. ⇤ H.Zhang-3@tudelft.nl; These authors contributed equally to this work. † Gul.Onder@gmail.com; These authors contributed equally to this work.